Decent DLC here to enhance the playing experience. 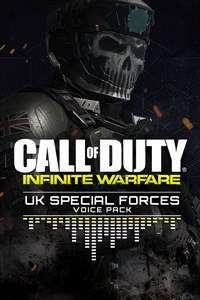 Head into Multiplayer combat with backup from the U.K. Special Forces VO Pack, featuring Craig Fairbrass, the voice of "Ghost" from Call of Duty®: Modern Warfare 2. 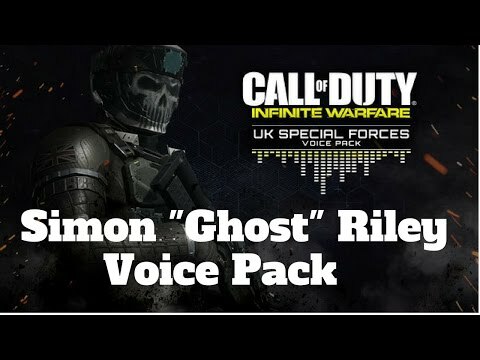 This tough-talking British Soldier narrates all the action, updating you on killstreaks, enemy activity and adding some extra flavor to every MP firefight. The Base Game(Call of Duty: Infinite Warfare) is of-course needed for this DLC - which you can buy separately. So this DLC is ONLY for the multiplayer game mode?......I'm asking because I don't have friends. Your thinking of MW2 this is MW1. No doubt with add goodness of loot …Your thinking of MW2 this is MW1. No doubt with add goodness of loot boxes for the modern gamer. Ah my bad. I'm working away from my PS4 so haven't played it yet. Just depending on my Switch atm. So this DLC is ONLY for the multiplayer game mode?......I'm asking …So this DLC is ONLY for the multiplayer game mode?......I'm asking because I don't have friends. No, this is Infinite Warfare. Been free for 2 years since release, but yeh all dlc should be free. Great profile pic ‌ super sand lesbian.